Accepting monthly donations on your Weebly site has never been easier with Donorbox. 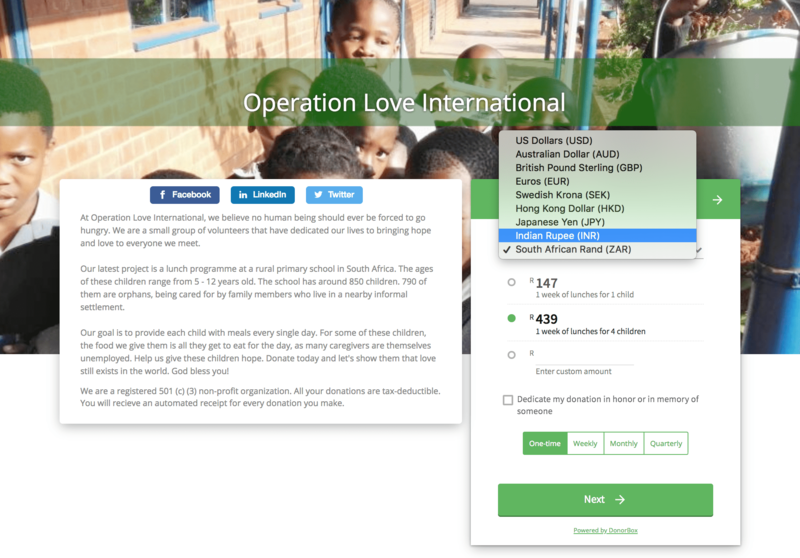 Using Donorbox’s auto-generated code, you can embed a form or install a donate button in your web page. If your website does not support SSL, our donate button is a great solution. The Donorbox donate button will take donors to an SSL-secured donation page that’s hosted for free on our secure servers. Here’s how to install an attractive donate button. Go to your Donorbox dashboard and click the “Donate Button” link, found next to your desired campaign. This is the form your donor will be taken to. Next, customize the size and color of the Donorbox donate button until it suits your website. Then, copy the embed code from the code box, as shown below. Now, head over to your Weebly site. On the left side of the screen, there is a bar that says “Basic.” Scroll down until you find the “Embed Code” icon. Click and drag the embed code icon to the location of your choice on the page. 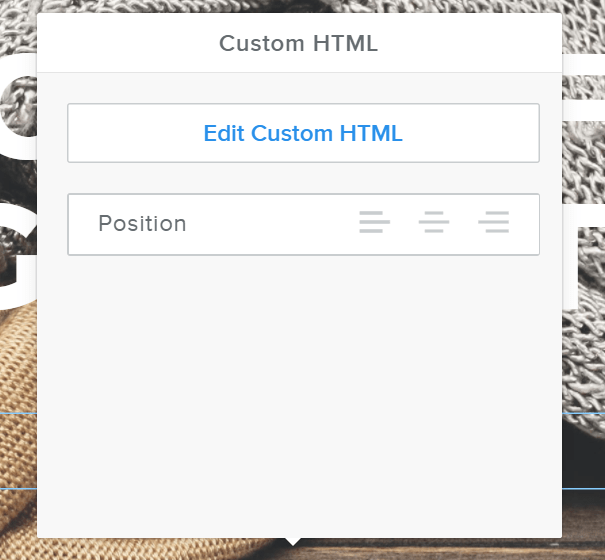 Now click on the embed code icon and you will see a pop up that says “Custom HTML.” Click on “Edit Custom HTML.” Paste the code that you copied earlier. Once your code is pasted, the Donorbox donate button should appear. Publish your page by hitting the blue “Publish” button in the upper right-hand corner of the screen. Now you’re ready for donations! When a donor clicks on the donate button, they will be taken to your Donorbox-hosted donation page, like the one shown below. Another benefit of Donorbox is that you can track donations and donors can easily and securely make one-time or recurring donations. All you have to do is get ready to receive donations! You don’t have to use the Donorbox button to use our awesome donation forms. You are free to use any button image you want. 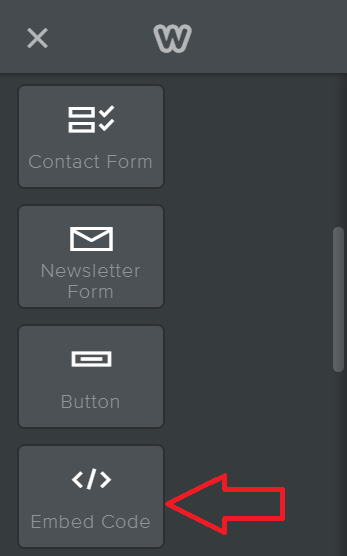 First, save the desired image of the button. Or you can copy the URL of the image you wish to use. Then, locate the “image” icon of the left side of the page. Click and drag the image icon to your desired location on the page. Click on “Link”, then click on “Website URL”. Copy and paste the link to your Donorbox-hosted, found on your Donorbox dashboard. And now you have a custom donate button that takes donors to your very own secure donation page! Hit “Publish” in the upper right-hand corner to finish and publish these changes.